Netpas Distance is the world's best port distance table supporting more than 12000 ports and 72 million distance table. With Netpas Distance, you can get ports distance with checking the route on e-world map. You can edit your route with your own way and draw another route. 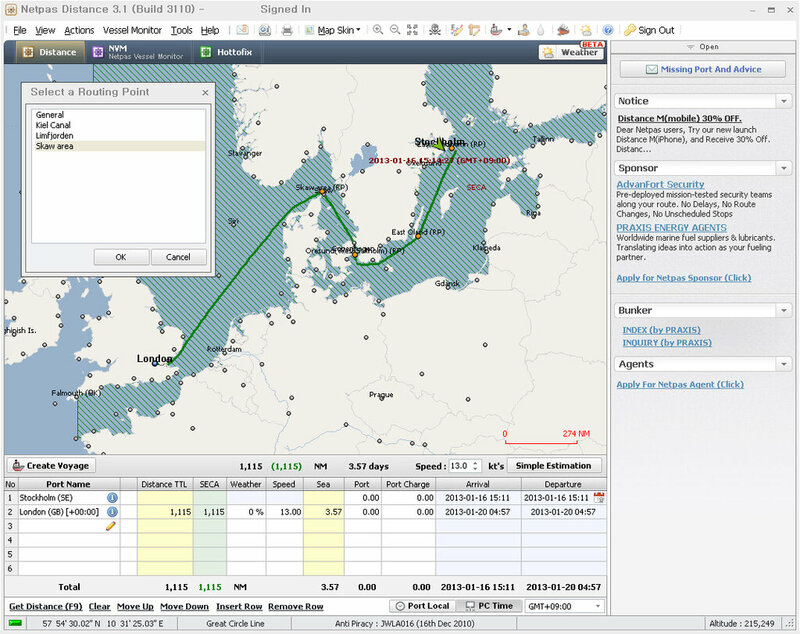 Netpas Distance provides whole e-world map control including zooming in and out. Now you do not need to search port atlas book anymore. You can find out any port with just typing the port name in Netpas Distance.